M3HS is a radial tyre for street-crane services. The special pattern design and load index for high speed at high load assure highway services. 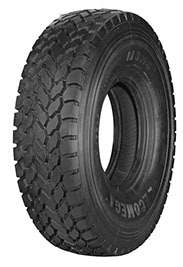 The tyre has been designed to guarantee the best comfort for the operator, a smooth and silent ride in high speed transfer and excellent traction on all surfaces. M3HS is the second generation and represents an evolution of M2HS. The advantages and improvements consist in a new design with reinforced sidewalls and shoulders, also closer. 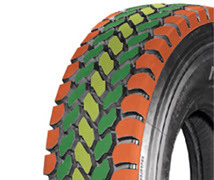 Reinforcement of the upper bead area to avoid cracking and casing failure, and generally helping the whole tyre body to better release heating.